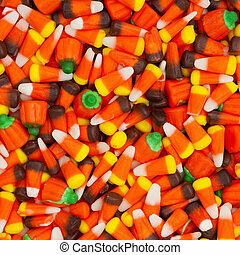 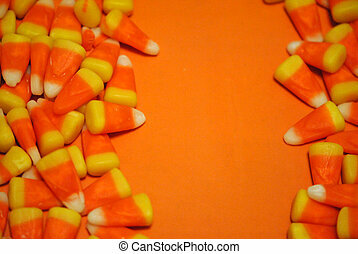 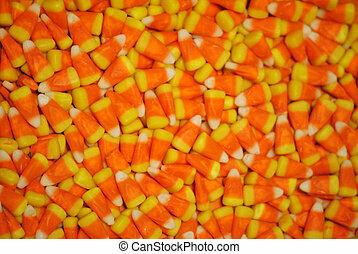 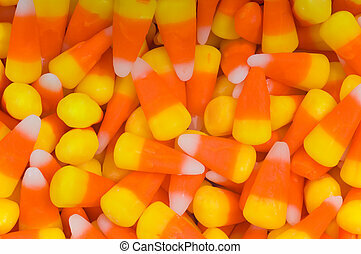 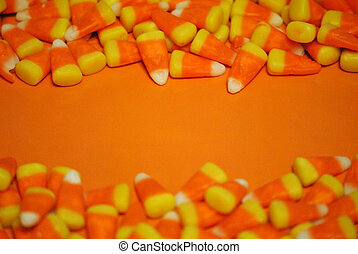 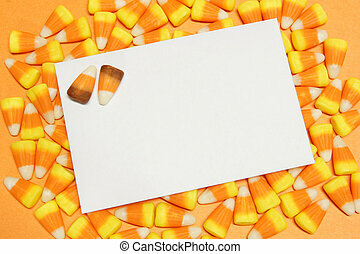 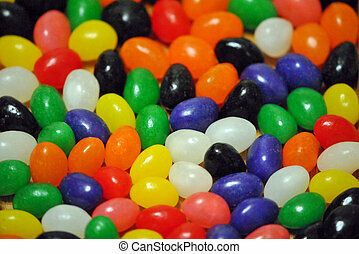 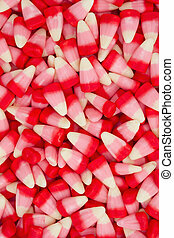 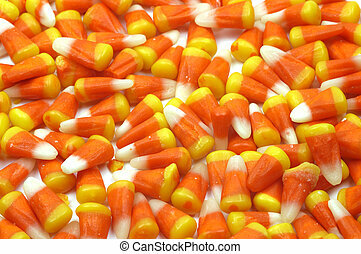 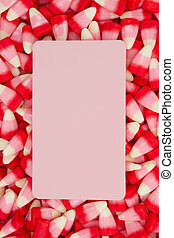 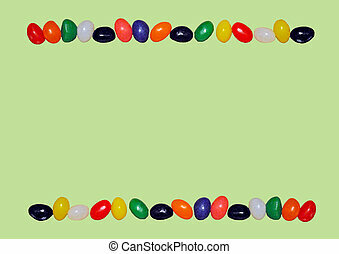 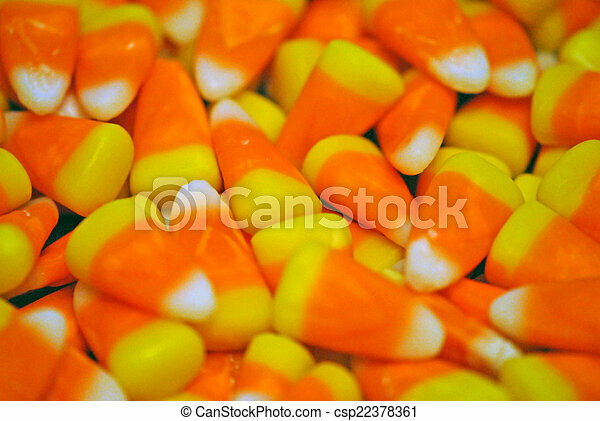 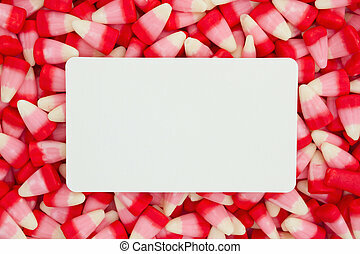 Horizontal shot of a solid candy corn background. 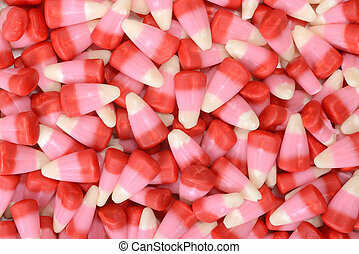 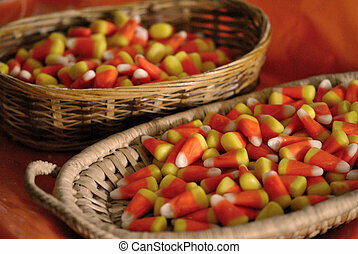 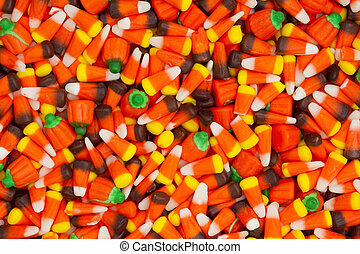 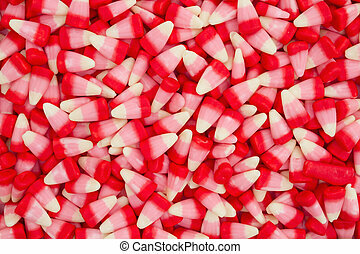 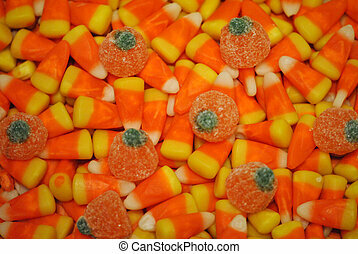 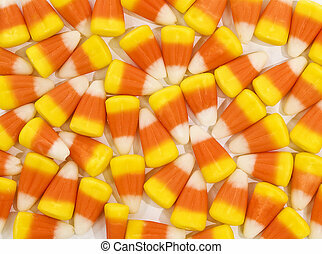 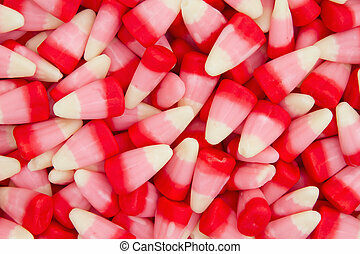 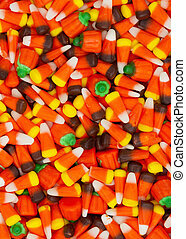 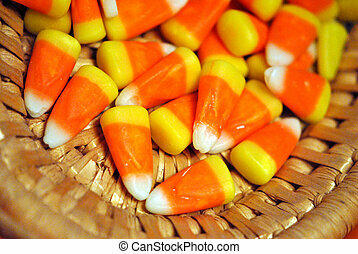 A full frame of halloween candy corn treats. 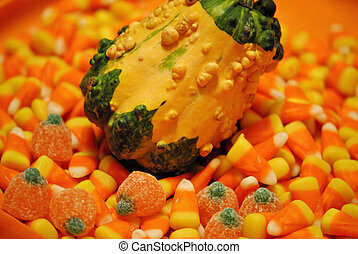 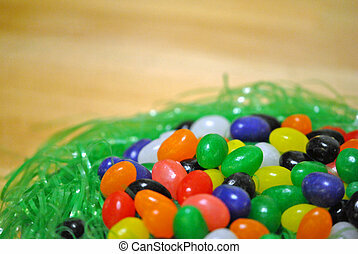 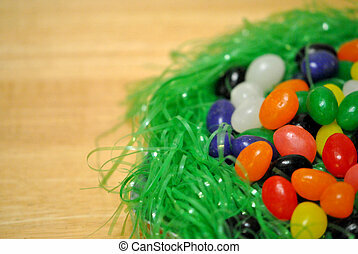 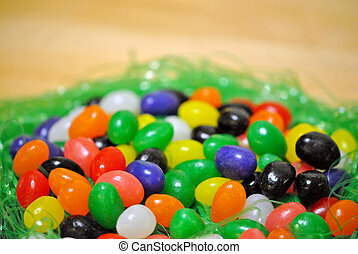 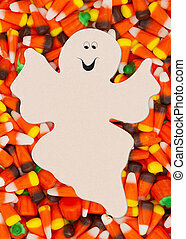 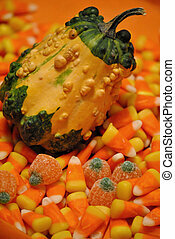 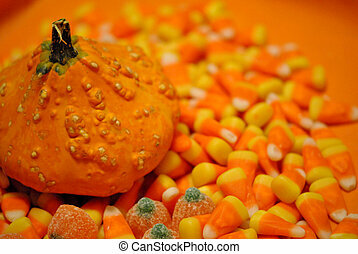 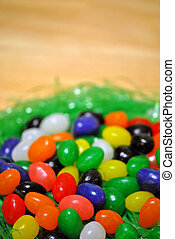 A single gourd on a bed of Halloween candy. 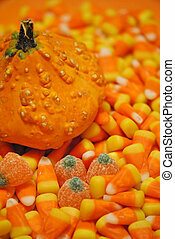 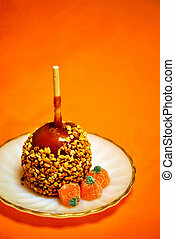 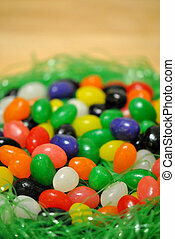 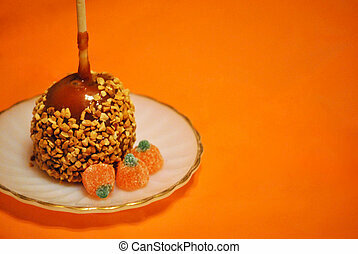 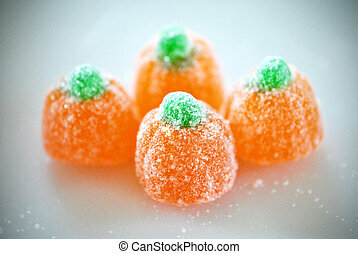 Taffy apple with candy gum drop pumpkins isolated on orange background. 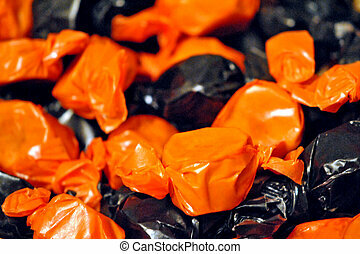 Peanut butter taffy, a traditional Halloween treat.